Lagos State Governor, Akinwunmi Ambode has lauded the General Superintendent and members of the Deeper Christian Life Ministry for its contributions towards community development and improvement of the quality of life of the people of the State. Governor Ambode who spoke Tuesday at the commissioning of multiple projects executed by the Church in the Gbagada area of Lagos commended Deeper Life for mobilizing millions of its members across the world towards making life more meaningful for members of the community that lives around its headquarters in Lagos. 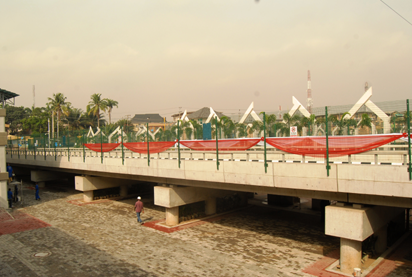 Projects commissioned by the Governor included a link bridge on Oduwaiye Street, Gbagada, traffic lights on a number of streets and a 600 capacity multilevel car park, all built from the contributions of members of the church across the country. 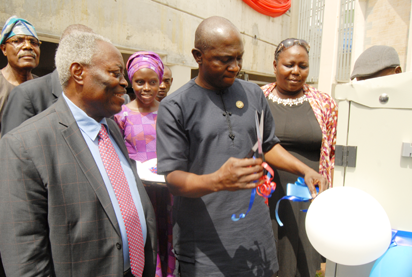 Governor Ambode, who was represented by the State Commissioner for Energy and Mineral Resources, Mr. Olawale Olowu said that Deeper Life has by those projects demonstrated its willingness, not only towards the spiritual uplift of its members but also on the quality of life of the people irrespective of religious inclinations. He said the projects executed by the Church were in line with his government’s drive towards the rebuilding and renewal of Lagos City and called on other religious organizations and private sector institutions to emulate the gesture as a means of expediting the revamp of infrastructure in all parts of the state. “What Deeper Life Church has done is epochal and keys into the overall drive of the State Government under the leadership of Governor Akinwunmi Ambode towards the renewal of infrastructure projects all over Lagos in line with the megacity ambition of the State. It is my considered view that if all other religious groups and private sector organizations in the state, provide similar support to the Government, a lot will be achieved and in a very short time in improving the quality of infrastructure in our Lagos,” the Governor stated.